...for the sparks to start flying. just a little over three hours to go. it's sunny, warm and beautiful outside, tho' they promise some showers. I'm having a thunderstorm going on outside. I swear to BLOG I am soooo green with jealousy! Rock Blog Camp Ladies! 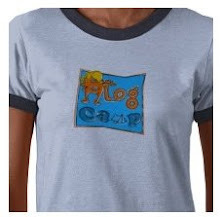 HEY Blog Campers: where are you?